Learning from our customers' experience with the 15 year old Pertron PWC-300 weld control, Jenzano and Square D Controls (Pertron) have joined forces to produce a premier 3-phase welding control. 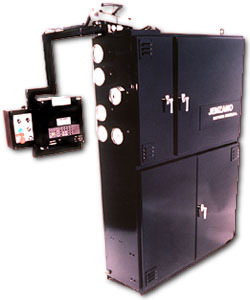 At the heart of the Enhanced Alpha Weld Control System is the Alpha III Timer Board and fiber-optically isolated firing boards, manufactured by Square D Controls. Combining these components with Jenzano's packaging, enhanced software and customized input/output and control circuitry, the produce is a consistent, flexible and easy-to-use system. Power requirements must be verified at the time of purchase. Specifications are subject to change without notice. Customer assistance in evaluating proposed application is available. 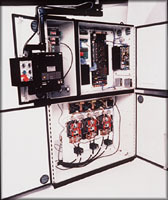 Photos shown are of typical configuration and do not necessarily represent the standard product.